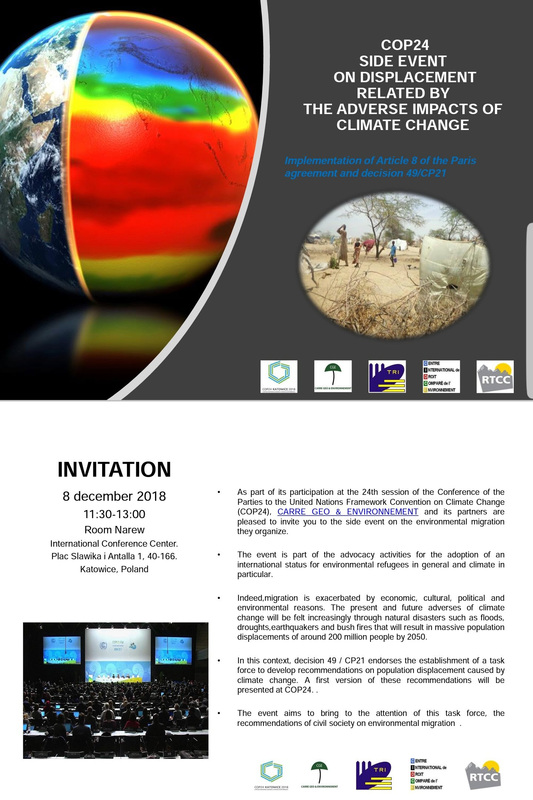 From 3 to 14 December 2018 will be held in Katowice, Poland, the 24th Conference of the Parties to the United Nations Framework Convention on Climate Change. At its twenty-first session (COP21, 2015) the Conference of Paries requested the Executive Committee of the Warsaw International Mechanism to establish, according to its procedures and mandate, a task force to complement, draw upon the work of and involve, as appropriate, existing bodies and expert groups under the Convention including the Adaptation Committee and the Least Developed Countries Expert Group, as well as relevant organizations and expert bodies outside the Convention, to develop recommendations for integrated approaches to avert, minimize and address displacement related to the adverse impacts of climate change (see decision 1 / CP.21, paragraph 49). A first version of these recommendations should be presented at COP24. (See also report of the working group). 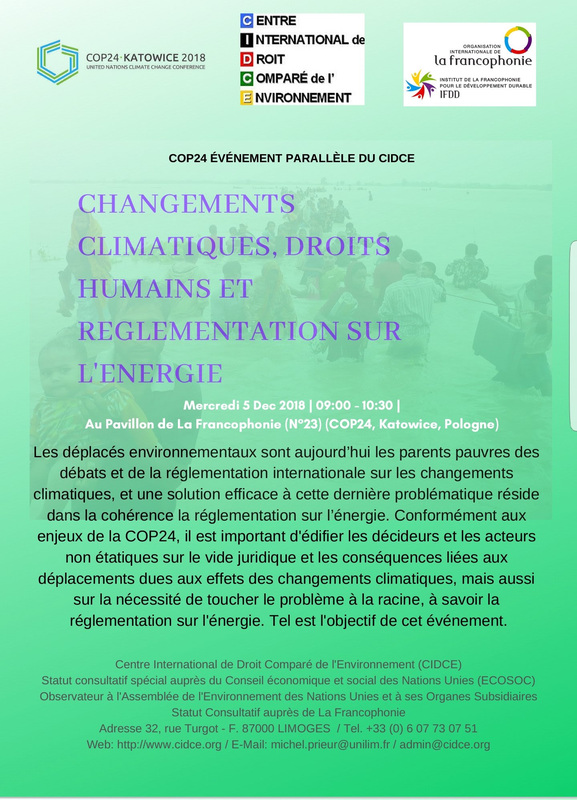 CIDCE has been working on the issue for several years and is proposing a draft International Convention on the Status of Environmentally Displaced Persons to fill the legal gap in this field.